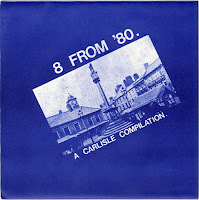 Superb local compilation from Carlisle/UK on a 7" ! Great mix from punk to powerpop and postpunk. The well known bands here are The Limps and No Support. 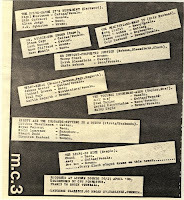 Yeah nice compilation, would like to hear more of "The Limps ". Hi is this link still alive as my machine won't open it.I bought this when it first came out tho my copy had a b/w sleeve but with the same picture. Whilst walking my dog this morning the song "Walk it" popped into my head (can't think why). It got me thinking "I wonder if possibly....and then your site popped up. I remember at the time this 7" came out John Peel saying it would probably be dismissed as "8 boring bands from Grimsby"
Downloading now. I think it was a Rapidshare problem-Thanks for the memories. You've made an old Pedestrian very happy. The Limps are now on facebook, with a couple of links to videos on youtube. Matchbox classic (the label) is also on facebook.